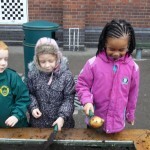 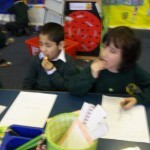 Today in 1N we have been tasting different fruits (oranges, raisins, bananas and apples). 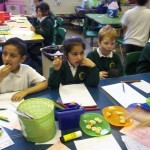 We have been using our taste senses to describe what we like. 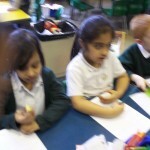 After tasting all of the fruits we recorded our favourite fruit and explained why. 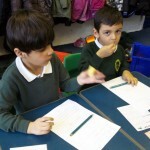 Some of us also recorded our least favourite fruit and explained why. 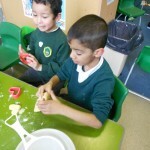 Please take a look at our pictures. 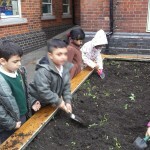 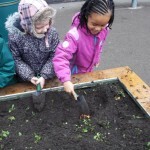 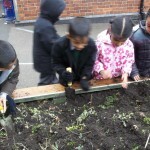 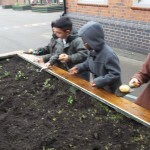 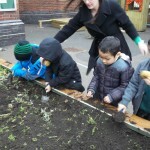 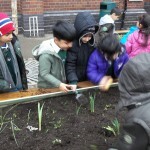 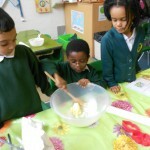 This week 1N have started their new topic, Ready, Steady, Grow. 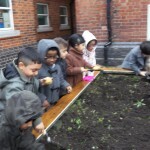 Today we went on a vegetable hunt. 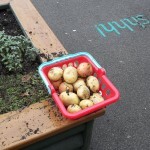 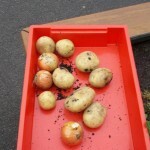 We dug up some vegetables (potatoes and onions) to make some soup. 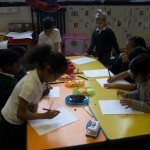 Please take a look at our pictures. 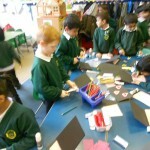 In 1N we have learnt about Valentines Day, how it is celebrated and why we celebrate it. 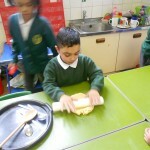 We got to make heart biscuits following instructions. 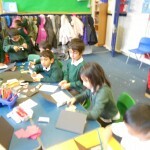 Also we got to make cards for our family members. 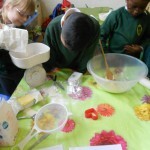 Please take a look at our pictures. 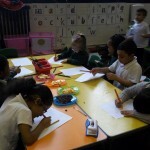 In 1N we had a letter from newsround asking us to record a news repot about an alien landing in Calthorpe Haven. 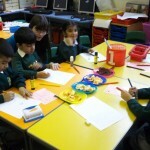 We all had different roles including a camera person, a director, a reporter and an eye witness. 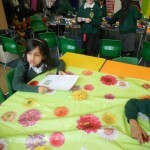 Please take a look at some of our reports.